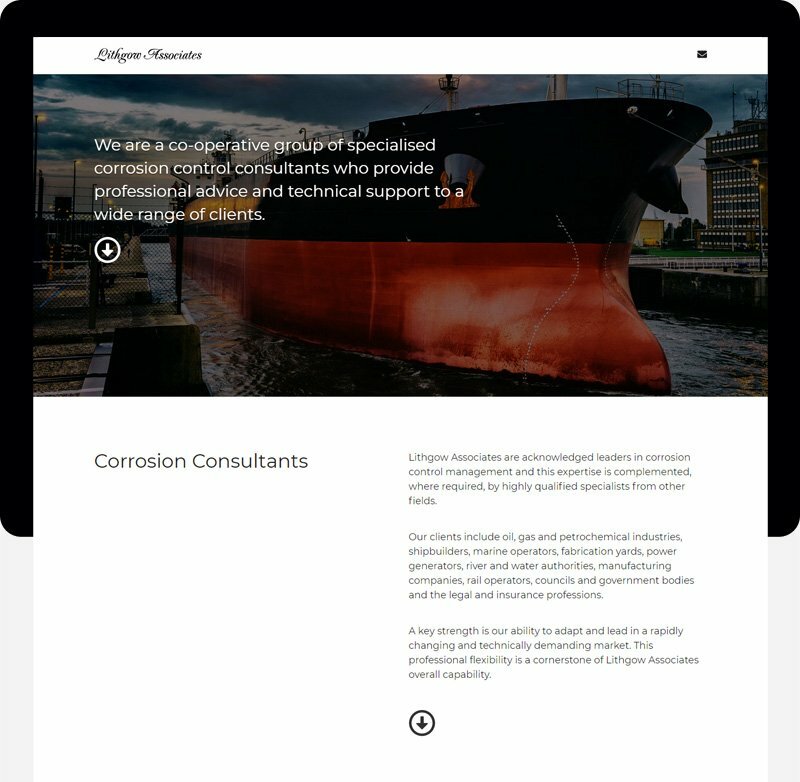 Lithgow Associates are Independent Corrosion Consultants who investigate and solve practically all types of Corrosion related problems. The one page website design for Lithgow allows for simplicity and conciseness. Users are quickly provided with an overview of the company, core services and contact details which can boost engagement and conversion rates.